Ben assumed the direct managerial role of the swim and tennis programs six years ago. Ben is a graduate of University of Maine, Farmington. He has worked on all corners of the Club in his fourteen years at the Causeway and brings his signature attention to detail and focus on service to this important arm of our operations. 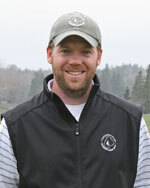 Ben is the coach of the Mount Desert Island tennis team and acts as property manager/caretaker in the off season.